For a decidedly anti-rose person I do have a surprising number of favorite rose fragrances. I enjoy and appreciate roses when they're full-bodied and layered, especially with non-floral notes that highlight the dirtier or sweeter facets of the flower. It's rose alone that scares me because it often turns sour when I wear it. So how does Wild Roses from Aftelier fare on my skin? It's rosy, no doubt. 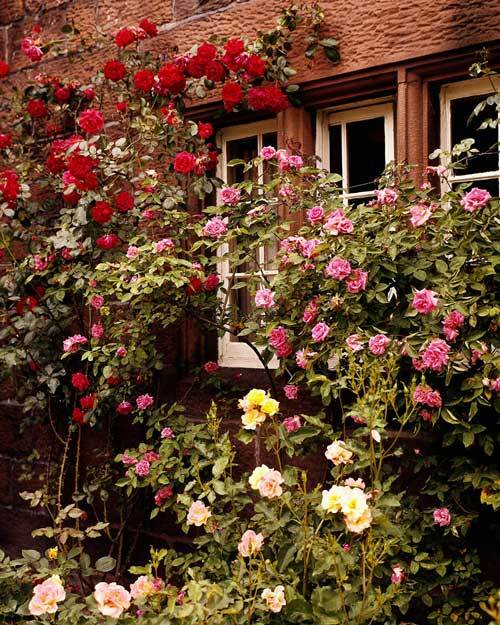 Perfumer Mandy Aftel of Aftelier aimed to capture the experience of walking around her garden and smelling each rose. She wanted it to feel and be real, transporting, and even healing: there's something about immersing yourself in dozens and dozens of live roses, taking in the subtle nuances- the pretty, the heady, the innocent, the naughty. Roses, if you let them, can be all that; this new Aftelier creation allows the intricacy of the note to fully show and takes it as far as it will go, elaborating on the more interesting facets of the rose. Wild Roses opens with a slightly bitter undertone. It captures my attention immediately with its herbal and spicy bite. It skips between the familiar sweetness and the darker threads of clove, pepper and anise that crisscross the velvety petals. As the fragrance warms and develops on skin it loses some of the medicinal notes but gains booziness- a fruit liquor, apricot skin and flesh, apricot leather that's almost edible. The jammy rose is of the gourmet deli variety, as it's cooked with savory herbs, spices and seeds. Just before Wild Roses becomes something to serve with vanilla ice cream, the dirtier dry-down begins to appear. The spice becomes dustier and earthy, influenced by a beautiful patchouli note. The rose itself is now indolic and slightly animalic, reminding us that Wild Roses is indeed a Perfume, not just an ambiance. It's meant to be worn and enjoyed on human skin. The dry-down is intimate and warm- it's what you smell on yourself after walking around in a blooming garden on a warm day, touching the flowers you sniff and perhaps rubbing a couple of them against your cheek to enjoy their tactile quality as much as their inviting scent. Notes: rose CO2, heliotropin, bergamot, geraniol, m-methyl anthranilate, damascenone, apricot, Turkish rose absolute, pimento berry, p-ethyl alcohol, rose petals attar, tarragon absolute, vanilla absolute, indole, aged patchouli. Wild Roses by Aftelier ($170, 30ml EDP, $50 2ml parfum mini, $170 1/4oz parfum; samples also available) can be purchases from aftelier.com. The samples for this review were sent for consideration by the perfumer. Ok. Now you did it. 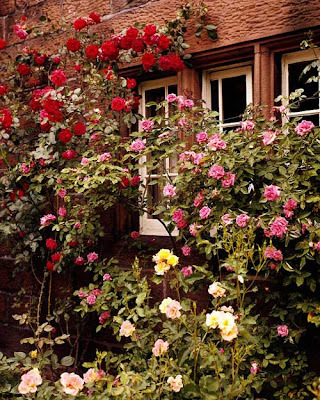 I am definitely a rose person, grow them, cut them, arrange them, and wear them. I will be looking into this one! I love you and your blog Gaia, thank you so much for this terrific review! I appreciate your deep understanding of my work, and I always learn a lot from reading your very intelligent commentary!